For a country which is almost synonymous with traffic woes, it's ironic that manual transmission vehicles still rule the roost in India. Automatic transmission, in our quintessential bumper-to-bumper traffic, would make our lives so stress free that yoga would find no takers. So why haven't automatic transmissions become the norm in the people's cars? In the past there were a few mass market cars that offered clutch free driving but they were expensive, weren't as fuel efficient and were only available in a few models. Besides, the cars were all petrol powered and that increased running costs. Which is why, stick shift was the undisputed king. However, today the customer has the option of many automatic cars. 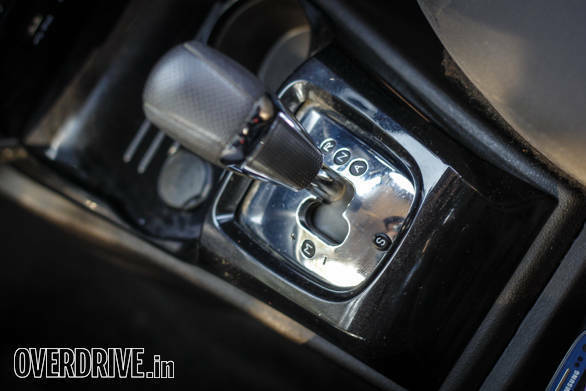 And the introduction of the automated manual transmission (AMT) has reduced the price of clutch-free driving even further. Even the most affordable cars like the Tata Nano and Maruti Suzuki Alto are offered with an AMT option today. Until now, if you were looking to buy a an affordable clutch-free diesel, there was only one option. The combination of a diesel engine and an automated manual is a blockbuster recipe for India. 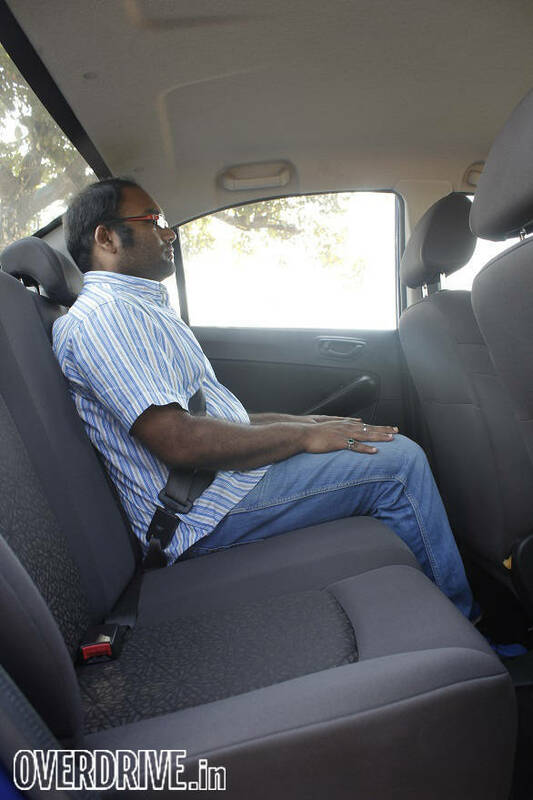 Tata Motors caught onto this idea and introduced the Zest AMT last year. The Tata has done reasonably well in terms of sales, also because it hasn't had any sort of competition. But now, India's highest selling car, the Maruti Suzuki Dzire diesel has just joined the AMT club. Should the Zest be worried? Neither car is new, so let's dive straight to their engines and transmissions. 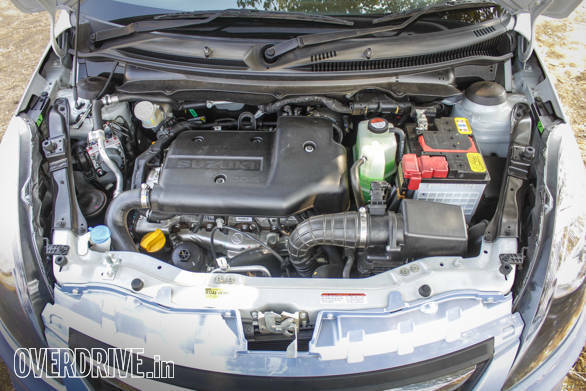 Both cars feature the Fiat sourced 1.3-litre diesel and a Magnetti Marelli developed AMT. 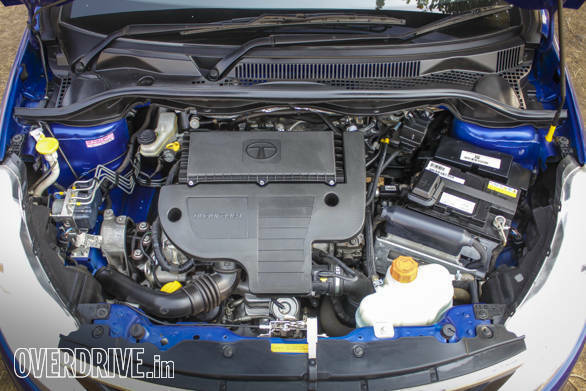 The Tata, however, gets more power, thanks to its variable geometry turbo. The Zest produces a max power of 90PS at 4,000rpm and 200Nm of torque between 1,750rpm and 3,000rpm. 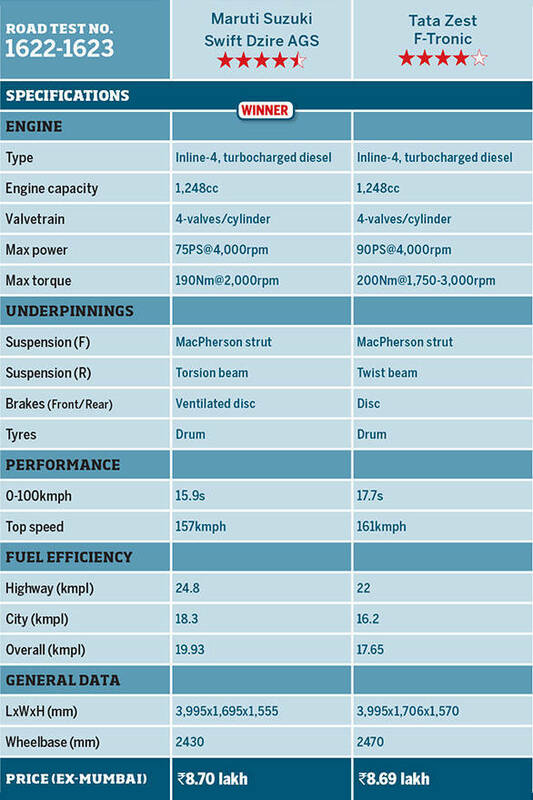 The Dzire puts out 75PS also at 4,000rpm and 190Nm at a higher 2,000rpm. 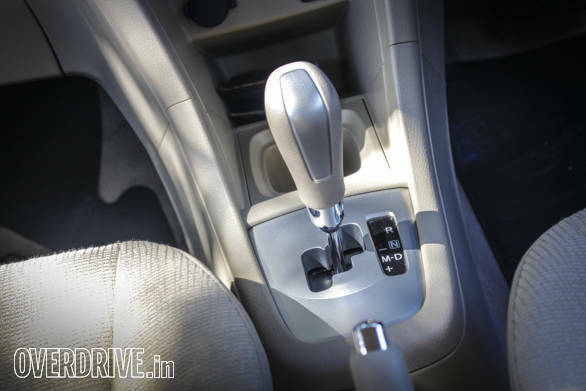 The AMT on both cars offers automatic gear shifting or if needed, manual gear shifting using the sequential mode. 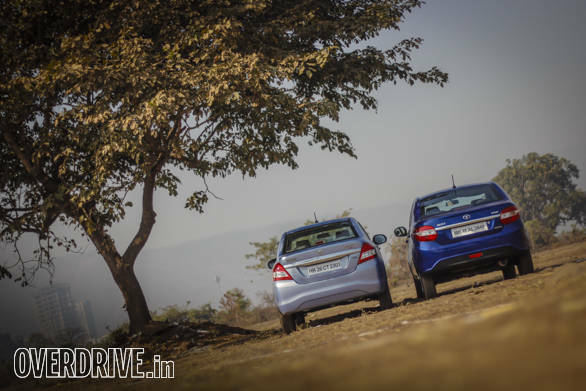 The Zest also offers a sport mode that basically alters the shift points. On the road, both cars display a prominent lag between throttle input and moving from standstill. The gearshifts are slower than a conventional automatic and there is an interruption in power between shifts. The Zest, however, offers slightly smoother upshifts. Driving in traffic takes some time getting used to because of the throttle lag but as speeds increase, shift points are perfect and the cars feel relatively quick compared to their manual transmission models. The Zest is also slightly quicker at shifting gears in manual mode. Both the cars offer quicker downshifts and one cannot feel them shifting at times, like when decelerating and eventually coming to a halt at a traffic signal. The Dzire also allows one to hold speeds in manual mode in every gear while the Zest doesn't and automatically upshifts instead. 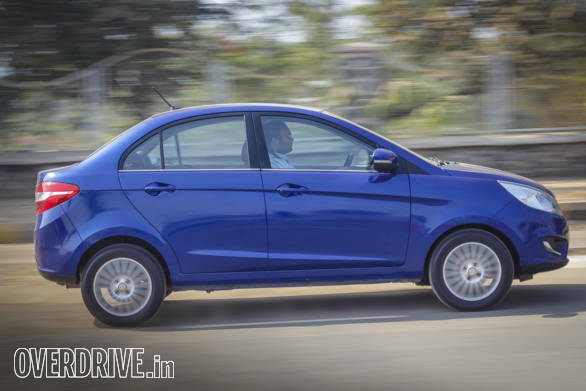 Considering, the Tata produces more power, one expects the Zest to better the Dzire when it comes to outright performance but as they say, never judge a car by its spec sheet. Our tests prove that the Maruti is quicker to hit 100kmph (0.8s quicker to the Zest's 16.2s 0-100kmph figure) and better in terms of roll-on acceleration as well. Fuel efficiency is better too  the Dzire returns 13.5kmpl and 21.6kmpl in city and highway, respectively while the Zest returns 13.1kmpl and 20.5kmpl in the same conditions. The ARAI claimed figure is also higher (Dzire - 26.59kmpl and Zest - 23kmpl). The Maruti is also lighter than the Tata (by 115 kilos, to be precise). While both cars have their advantages, the Dzire scores more points when it comes to performance, driveability and efficiency. What about styling? The Dzire AGS looks identical to the standard model. The only addition to the exterior is the Auto Gear Shift badge placed at the back. The car isn't as appealing as the Zest. The Tata has a more proportionate design and is more stylish too. Both cars are available in top end trims. This means that the Zest even gets projector lights and LED DRLs  a stand out feature indeed. The Dzire features better build quality and more consistent shut-lines. Step inside and it's the Tata again that comes on top in terms of design. 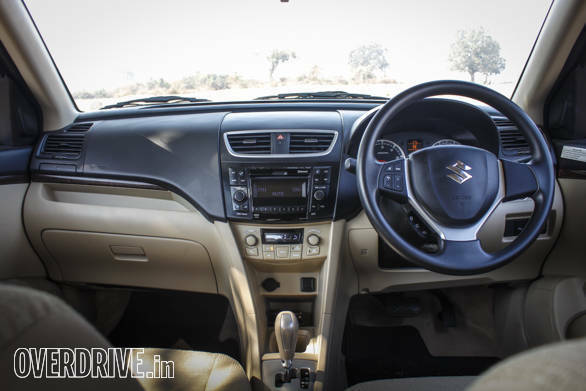 The dashboard looks a lot more current than that of the Dzire. 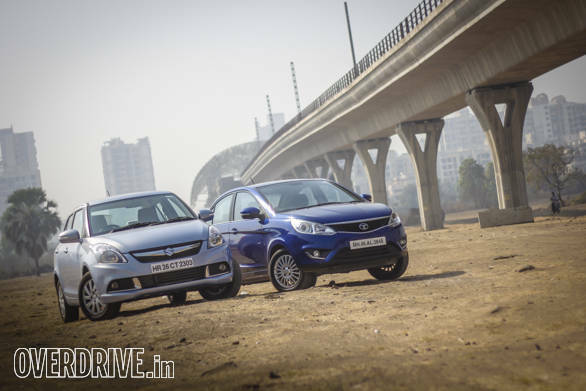 Both cars offer a dual-tone interior but the Zest gets more detailing in the form of silver and gloss black elements. 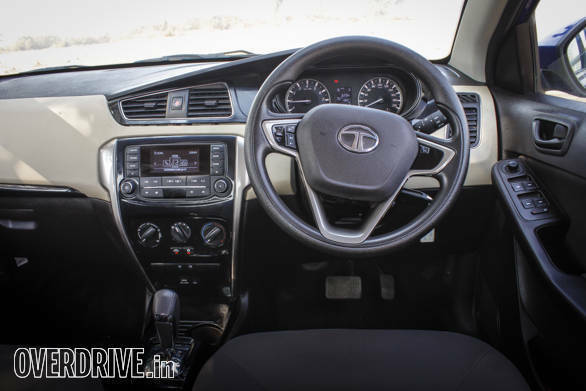 There's also a touchscreen stereo with many added features like navigation and video playback too. 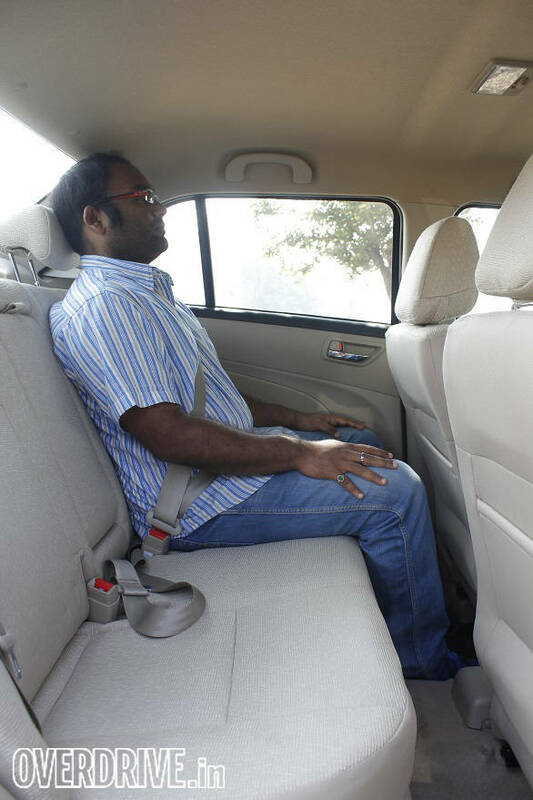 If you talk comfort and space, both cars are impressive but the Dzire seats offer more support. The Zest boasts more rear kneeroom and boot space but compared to the Maruti, there are fewer storage points and there's no armrest for the rear passengers. 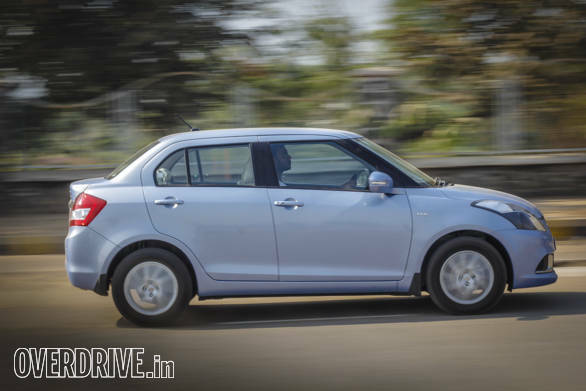 In terms of dynamics, the Dzire is better than the Zest by a fair margin. The latter, however, offers a more pliant ride on broken and undulated surfaces. The Maruti Suzuki Swift Dzire is the best selling car in the segment and it's got the potential to do even better thanks to the AMT variant. It is great to drive, performs well and has a decent set of features, especially after its recent update. It only loses out on styling, boot and rear seat space to the Zest. But India is a country where, time and again, function has been picked over form. Priced at Rs 8.70 lakh, ex-Mumbai, the Dzire AGS ZDI is even priced on par with the Zest XTA (Rs 8.69 lakh). The Zest is also available in a lower variant, the XMA (Rs 7.84 lakh), as seen here but misses out on vital safety features like standard airbags and a few creature comforts too. Adding it all up, the Dzire emerges victorious in this comparison. And then, the Dzire gets more brownie points on account of being a Maruti. An extensive dealer and service network, a reputation for affordable ownership and an assured resale price make this Dzire an even more attractive proposition. An automatic choice indeed.